Clearly this giant apple is not in Shanghai. 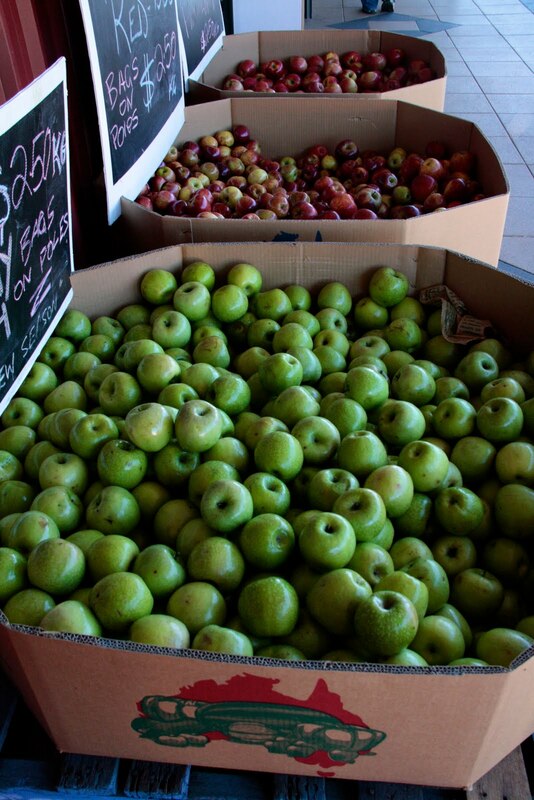 It's not even in China - it's in Australia, home of everything Big and Fruity. Home for a visit! Hooray! I get to escape Shanghai's hottest summer to come and enjoy the mild sunny weather Australia calls winter. 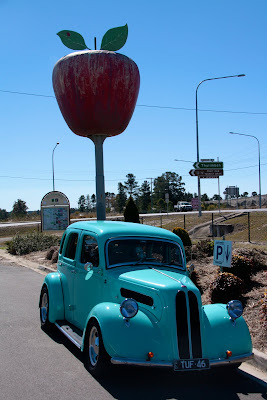 Australians are a bit obsessed with large sized fruit as tourist attractions. As a kid I went many times to Nambour's Big Pineapple and rode the macadamia nut train, stopped by the Big Banana at Coff's Harbour and the Big Orange in Orange. It doesn't stop at fruit either - highlights of past holidays around the country included the Big Prawn (Ballina), the Big Sheep and the Big Lawn Mower (Beerwah). On reflection, some of the things I've seen in China may not have been that strange after all. The Big Apple, now a red Royal Gala, started life in 1978 as a green Granny Smith at the local Applethorpe service station. Now it lives at Vincenzo's Produce and Cafe, and proudly pulls visitors in to buy Royal Galas, Fuji apples, Red Delicious and more, or sample the local wines and olives. I can't wait to get tasting some of that wine.